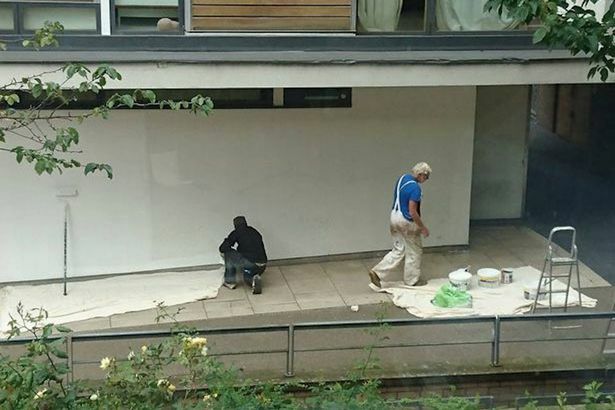 A homeless man was given a job for the day in a random act of kindness by a group of painters. He was spotted in Manchester’s Northern Quarter helping out the men as they worked on a building on Copperas Street on Tuesday afternoon. “I’ve seen him around a few times,“I work for United Utilities so I’m in the area on call-outs fairly regularly.He asked a passer-by for some change and the guy apologised and said he was sorry but didn’t have anything.The homeless man was really polite, telling him thank you anyway, it wasn’t a problem and he hoped he had a nice day. “The next thing he was shouted out by one of the painters, he asked him if he’d been drinking, and the homeless man said he hadn’t.“The painter went and spoke to his colleagues and said they should give him a job – and they did!“They had a bit of a long chat between them then he put his bag down and picked up a paintbrush and got to it.“He was being given tips and shown what to do, it was really great to see. “The man really seemed grateful and was enjoying himself. 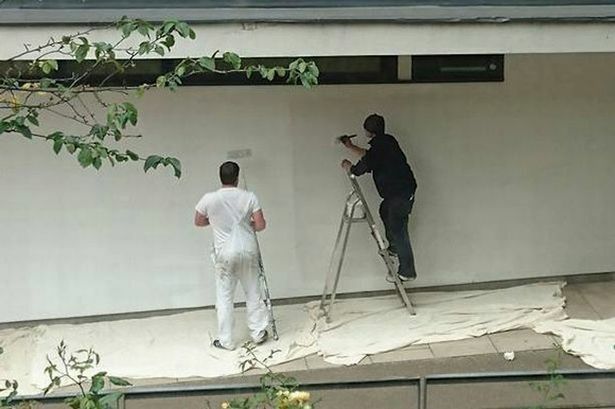 He was having a chat with the other painters and people walking past were speaking to them too.